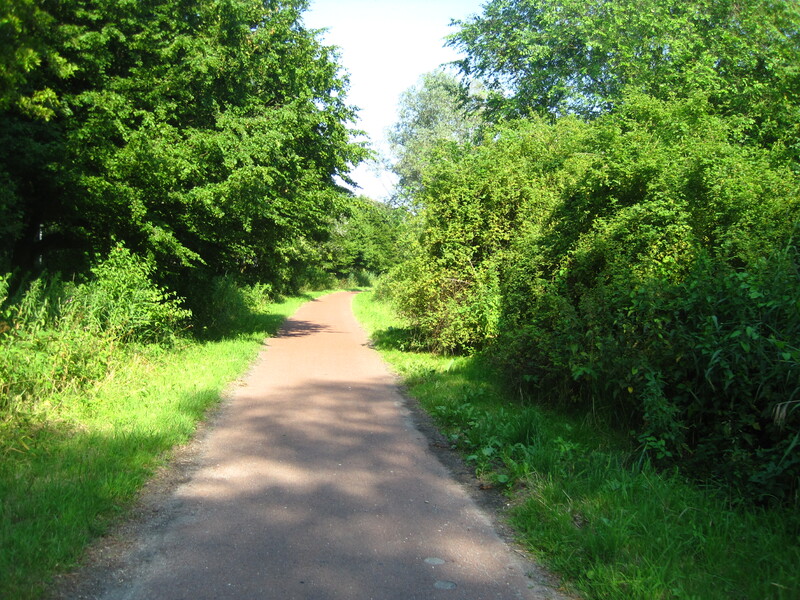 Follow the green dots to Het Brettenpad, a nature reserve trail in western Amsterdam that can be accessed by bicycle or on foot. 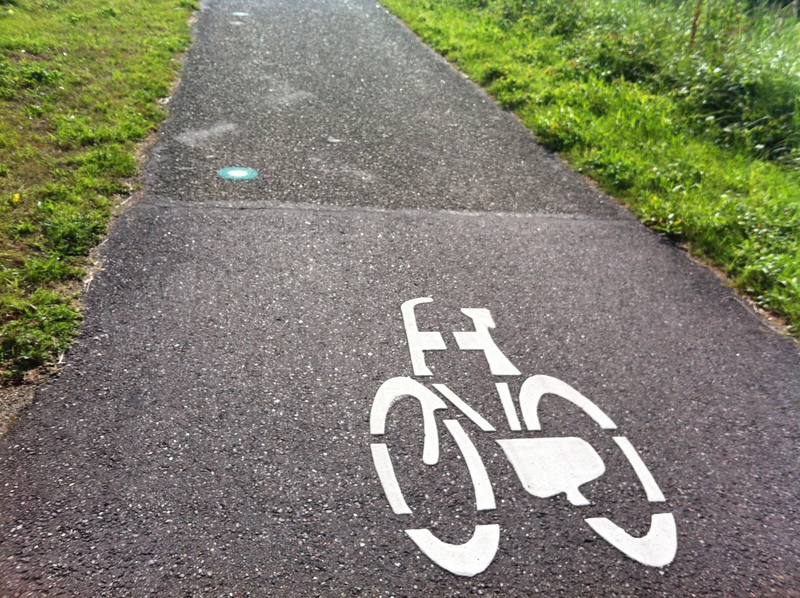 Have you walked through Westerpark and noticed green dots with white centers painted on the path? Did you ever wonder what those green spots meant or where they lead? 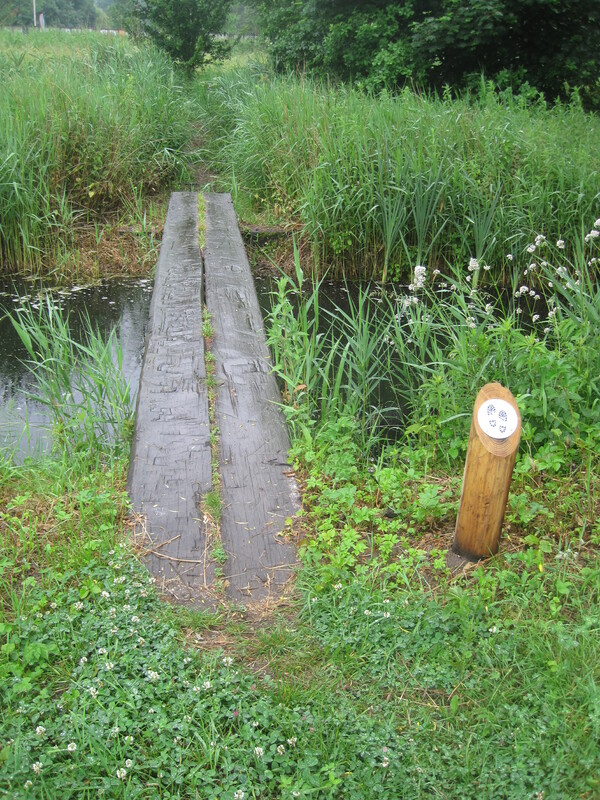 Let’s follow the dots to the Brettenpad, an 11km path from Amsterdam to Halfweg that passes interesting historical spots and lovely natural areas. Start the journey in Amsterdam at the entrance to Westerpark and Houtmankade. The path takes you through the park where you’ll see those elusive wild animals, the human picnickers, relaxing on the grass. When you reach the start of the Westergasfabriek buildings the path goes slightly uphill to the right. You’ll see those green and white dots painted along the right side of the road, just keep following those. The path drops down to a shady area along the water. You’ll see the Sloterdijkmeer and Nut en Genoegen community gardens to the right. Keep going and you’ll pass by Station Sloterdijk and follow the green dots along the Seineweg. 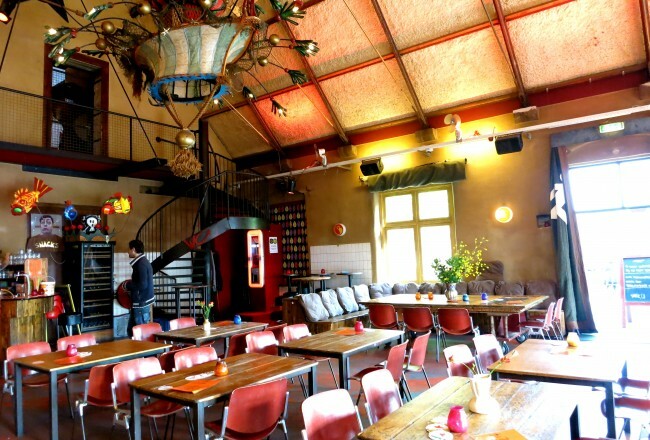 After crossing the main road you’ll come to the best part of the route, De Lange Bretten. 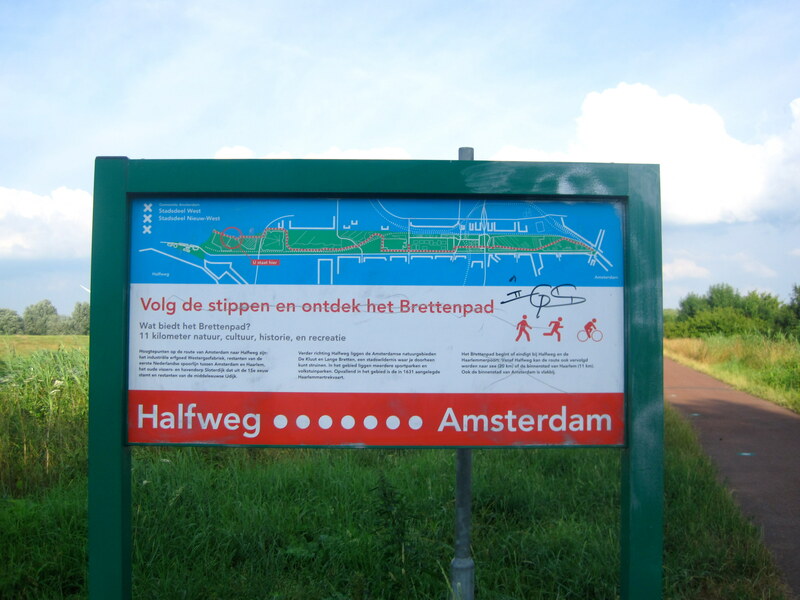 At the entrance to the bicycle path and walking trail you’ll notice a few signs that give some information (in Dutch) about the area. On the right you’ll pass a pond area and see a few small houses, these are part of De Bretten community gardens. The path turns and heads into a more natural area then winds its way through lush vegetation. Enjoy the quiet and take in the sights and smells. Watch out for speeding cyclists in lycra, joggers and people with dogs. At the end of the path make a left where De Groote Braak gardens start and follow along the waterside. Het Brettenpad ends at the narrow bridge. Continue the route to Haarlem and beyond to the sea, or turn back toward Amsterdam. The start of the route, Westerpark, is home to the Westergasfabriek. These buildings were once coal-fired gasworks, producing and distributing natural gas for the city. The property has been remediated and the buildings are now used for all kinds of cultural events. 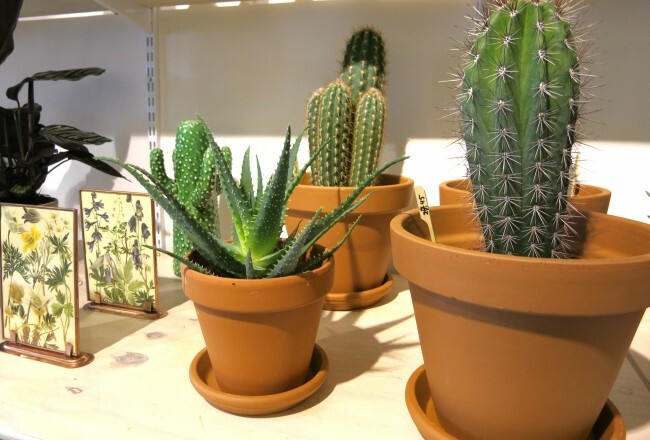 You’ll find a variety of cafes, restaurants, shops and offices housed in the structures. Exciting festivals and events take place here almost every weekend. Sloterdijk might now appear to be a modern industrial area with a huge train and metro station and many tall buildings but Sloterdijk was a fishing village and harbor in the 15th century. 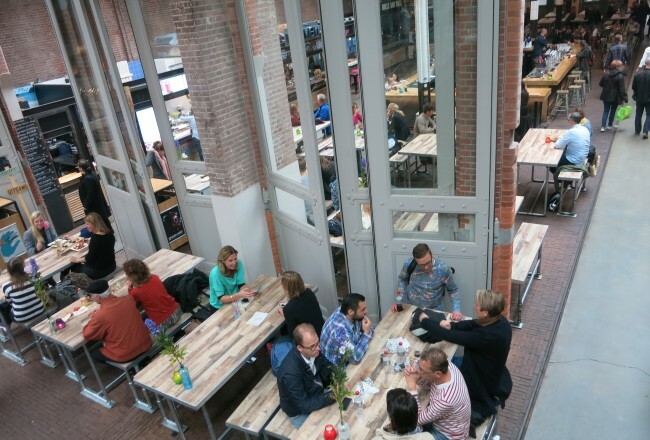 If you’d like a place to stop for a craft beer and bite on the route, check out BRET in front of the Sloterdijk station. The Brettenpad passes by four community gardens, Sloterdijkmeer, Nut en Genoegen, De Bretten, and De Groote Braak. These allotment gardens provide Amsterdam residents with a spot of land to plant vegetables and flowers and to escape from the busy city. Nut en Genoegen has been a community garden for nearly 100 years, Sloterdijkmeer for almost 80 years and De Bretten has been a garden for 30 years in what was once the home of the Bretten family (thus the name of the area). You might notice the small structures in the gardens. Depending on the rules of the particular association these might be used as garden sheds, relaxing space to watch the rain or even as a place to live in the summer months. From spring to fall you can take a walk through these gardens, but please stay on the paths and take care not to bother the residents. De Lange Bretten is a nature reserve which joins up with De Kluut to the west to make up one of the last big wilderness areas in Amsterdam. As the Brettenpad passes through the area keep your eyes peeled for rabbits, frogs, foxes and bats as well as many birds including nightingales, hawks, warblers and kingfishers. In the spring and summer the air is filled with the scent of wild roses and elderflowers that line the paths. Sculptor Herbert Nouwens has installed 20 large sculptures along the route. Check out this video to see some of his work. BRETTENSUITE – HERBERT NOUWENS from Steven Elbers (Artcore) on Vimeo. While the Brettenpad is most quickly accessed by bicycle, it is worth a wander as well. Look for signage along the way marking the paved or off-road walking paths. Slowing down and going on foot will allow you to spot more of the creatures that inhabit this natural area. You might even find a grove of wild apple trees or a bunch of blackberry bushes, ripe for the picking! Be sure to look out for the informational signs along the path which point out interesting points along the way. For more information about the Brettenpad, visit Amsterdam.nl.